When you decide to finally sell your house, your major concern, as a seller, should be to get the best price for your property. This basically means, whoever you hire to conduct a proper valuation of your house ought to offer the most credible and trustworthy value. Registered valuation and Rateable Value or e-valuer are not the same thing, experts say do not rely on Computer Generated Valuation. But while at this, what you probably don’t know and won’t guess is whether the valuation is to be conducted by a registered valuer, or it’s a mere computer-generated value. There are some ‘slight-to-massive’ differences between the two: Property Valuation vs. Online, Computer Generated Valuation, and before you sell off your house, it is important to understand the two. With registered valuation, physical assessment of the actual value of your property is done, and the real value determined, often by an independent and impartial person. The whole process is quite difficult, and that’s why a qualified and accredited valuer who has passed the right training and education. In the long run, the report submitted by the valuing agency will have captured each detail of the project, of course, at a fee. A registered valuer, therefore, needs to be extra-cautious when assessing and valuing the property and will have to avoid deciding based on who is interested in the property. Some of the factors that will shape the opinion are any comparable properties nearby and how prices could have shifted in the area. One other vital element is the structural condition and whether there’s need for repairs. 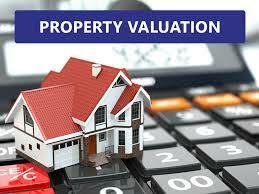 Ordinarily, before you apply for a mortgage, formal valuation ought to be done on the property. The valuer should be someone who is accredited and ascertained to assess since it is a legal, evidence-based procedure. Even when different Registered Valuers might have varying opinions, it is acceptable so long as it is legally correct and adheres to the tolerance levels of 10%. Brokers are fond of estimating the price basing their value on the knowledge of the local area and recent sales and serve as a cheaper alternative to formal valuers. However, in January 2015, Australia’s leading property valuers and property brokers locked horns in what arose due to the discrepancies resulting from the two valuation methods. According to the brokers, the valuers were over-relying on computer-generated pricing, a habit that allegedly resulted in systemic undervaluation of property. This, of course, triggered a fierce fightback from the valuers who defended their computer-based pricing. They said that their algorithm offer “comprehensive, accurate and reliable data,” although lots of questions were posed regarding the trustworthy of it. If you have no idea what this computer-generated pricing is just yet, then I’ll break it down for you. Online, Computer Generated Valuation or Automated Valuation Models is a specific use of expertly designed valuation algorithms that perform property valuation. How this is done is complex, but somehow understandable. First, results are provided by powerful computers that take into account the impacts of recent sales in a particular area. The algorithm makes its valuation based on specific aspects of the house too, notably its number of bedrooms, the size of the house, general conditions, etc. Ideally, it is a self-learning tool that reviews the actual sale price vis-a-vis its estimation. And so, this valuation is a result of statistical convention and not the true sense of the value of the house. For one, nobody truly knows the methodology behind the numbers, if it could be manipulated and if the data is from the right source. Moreover, it has not been proven whether this new thing is far much better and more accurate than human valuer. Well, that was in 2015 and may have served as the start of a modern-day style of valuing property. Today, despite the backlash and resistance it has faced, online-based valuation of data is still alive. New Zealand currently has five key players: Homes, Realestate.co.nz, Trade Me Property, MyValocity and QV, and all offer computer-generated valuation. Contact Us NOW To Request No Obligation Offer!